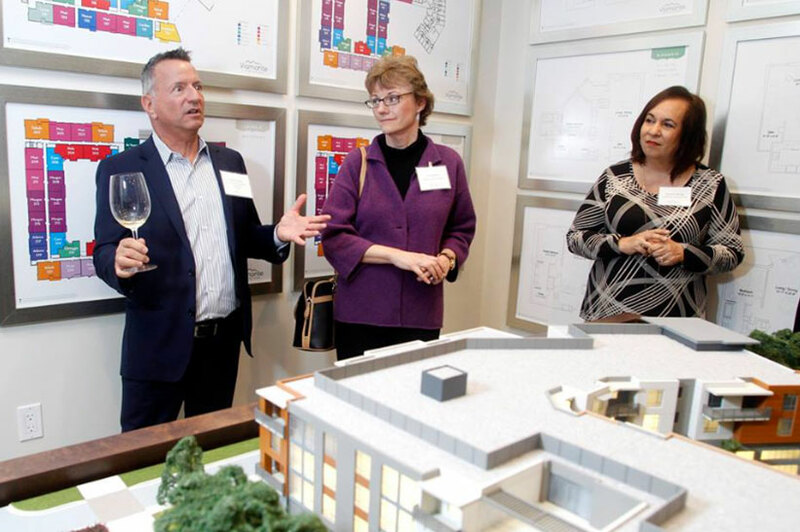 On February 15, 2017, Viamonte hosted a very special and intimate reception for various elected and community leaders from Walnut Creek. NCPHS (Northern California Presbyterian Homes and Services) CEO David Berg, as well as the Board Members attended the event. 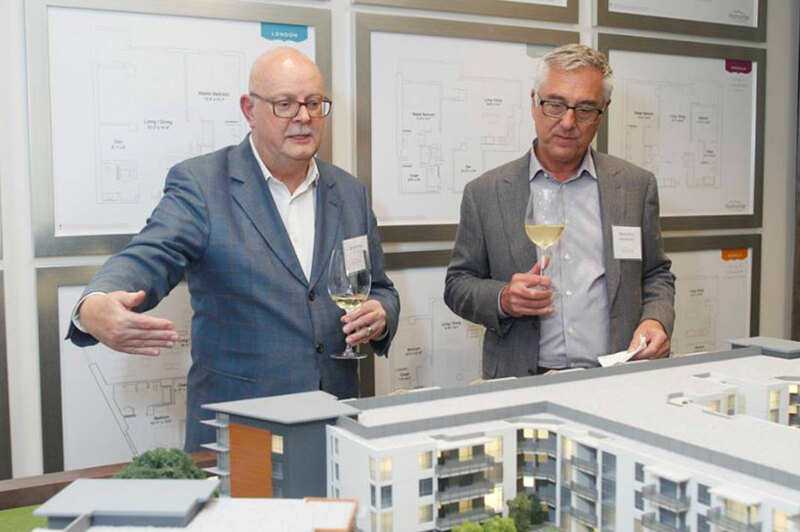 Also in attendance were the Mayor of Walnut Creek and City Council, members of the Design Review Committee, Planning Commission, Chamber of Commerce and the local media. The Preview Center will open to the public in March. 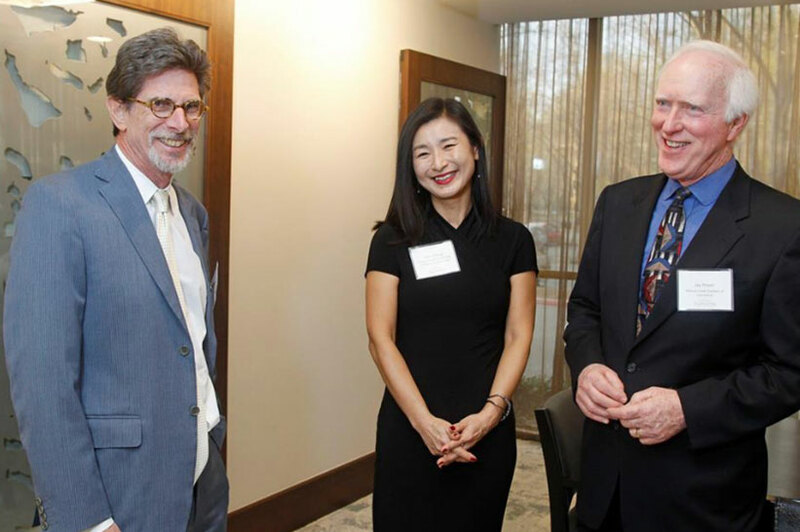 David Berg, CEO of NCPHS visits with Director of Sales and Marketing, Staci Chang, and Walnut Creek Chamber of Commercial (should be Commerce) President, Jay Hoyer. Mr. Hoyer is also part of the Shadelands Steering Committee, which helped shaped the vision of the Shadelands Business District that includes the new Orchards Development. 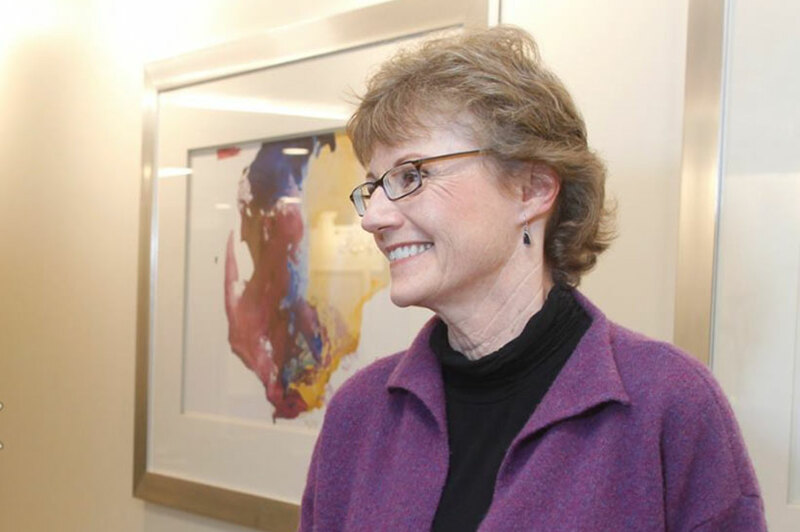 Walnut Creek City Councilwoman Cindy Silva was all smiles at the VIP reception. 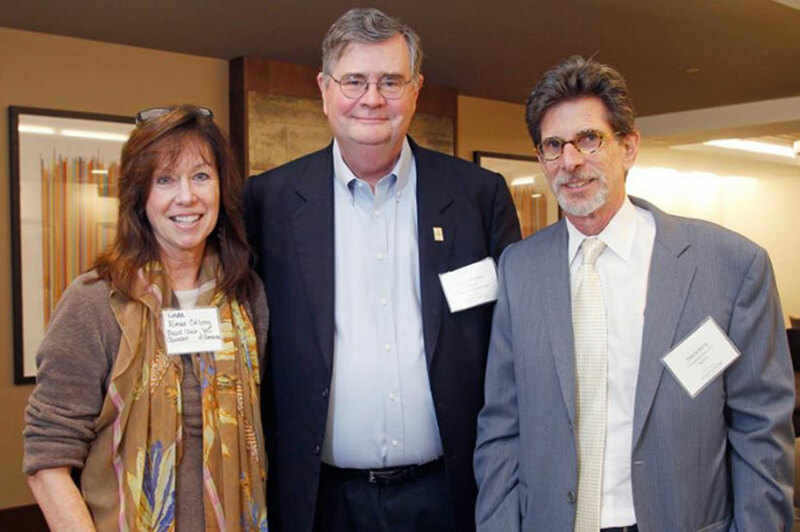 Linda Rimac Colberg, Board Chair for the Chamber of Commerce, Walnut Creek Mayor Rich Carlston and NCPHS CEO David Berg take a moment for a photo at the VIP reception at Viamonte. A scale model of the Viamonte is on display in the model room at the Preview Center. 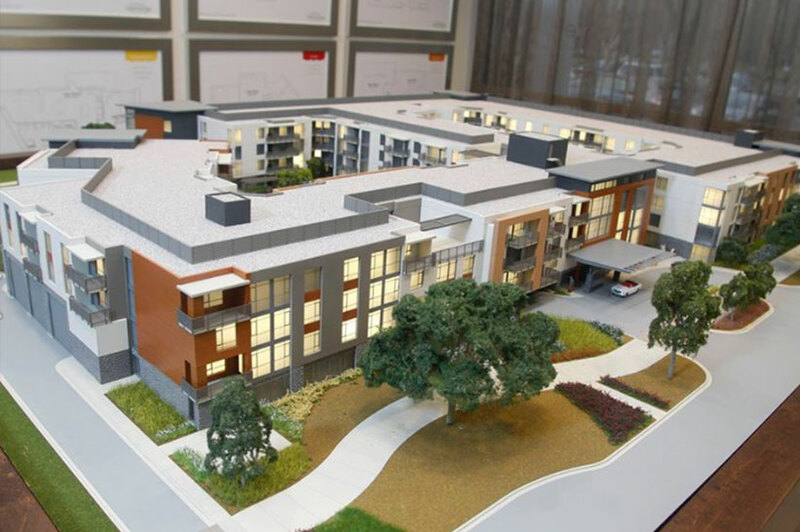 You can also view plans for each unit located on the wall behind the model. 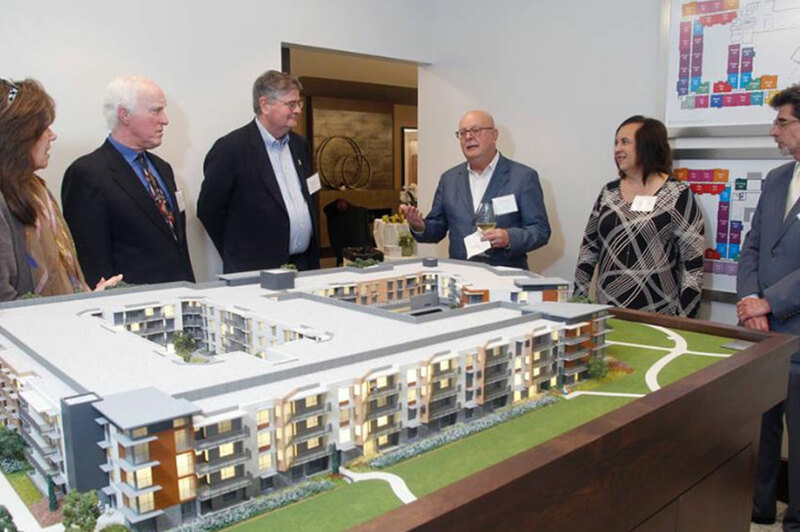 When complete, Viamonte will be considered the first-of-its-kind senior community in Contra Costa County. 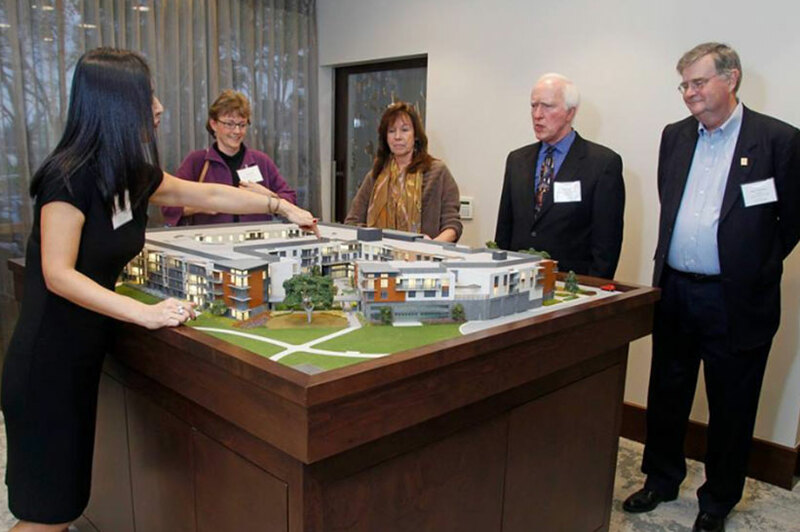 Staci Chang helps Mayor Carlston and Linda Rimac Colberg to get oriented with the scale model of Viamonte. 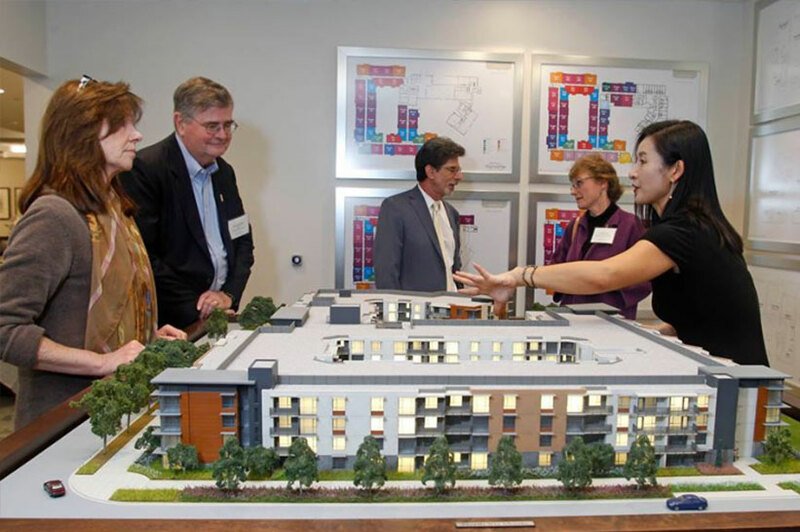 In the background, David Berg and Cindy Silva review floor plans and talk about the future of senior living in Walnut Creek. Jay Hoyer joins the group discussion as Staci Chang describes the future restaurant as well as where a wine bar and al fresco dining that will be located at Viamonte. Joining the group is the Principal of HKIT Architects, Tom Brutting, whose firm designed Viamonte to be an urban oasis of modern living, convenience and relaxation. NCPHS VP of Development, Dave Latina, looks on with a smile as several years of hard work is finally shaping up for NCPHS and Viamonte. Chamber leadership Linda Rimac Colberg and Jay Hoyer point out the dramatic entry for Viamonte to the Mayor. “Design is not done in a vacuum. 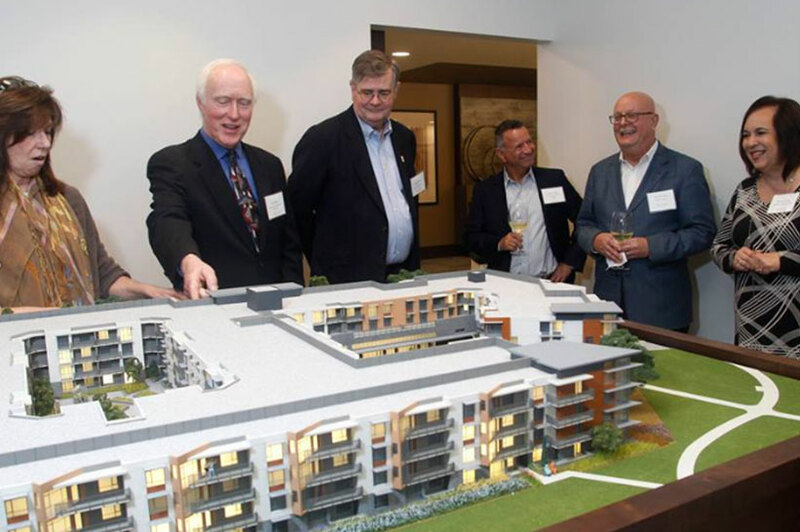 And great design is a collaboration of people, the environment and the future use,” Tom Brutting of HKIT, with David Berg, Suzette Wong, Viamonte Sales, Mayor Rich Carlston, Jay Hoyer and Linda Rimac Colberg. Dave Latina discusses the finer points of Viamonte with Cindy Silva and Suzette Wong. Barney Fonzi, CEO of Diablo Magazine, gets the lowdown on views from difference units at Viamonte from Tom Brutting. 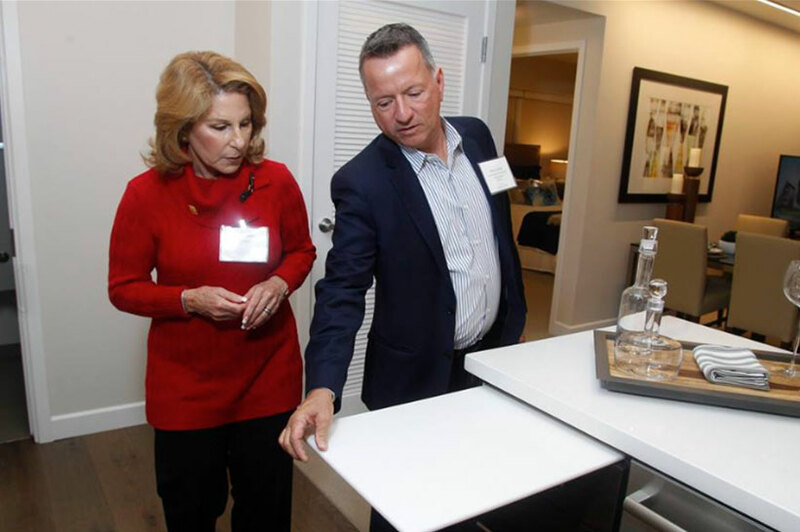 Marilyn Weiss, member of the Walnut Creek Design Review Committee, gets a personal tour of the model home located at the new Viamonte Preview Center by Dave Latina of NCPHS.